Millers Orchard was created in 2003 on a small piece of land in Mill Lane, Charminster previously owned by West Dorset District Council. The 950 sq.metre site was planted with a variety of local apple trees. The trees were planted by small groups to represent the wider community. This included the local publican, shopkeeper, oldest resident, school children. The fruit from the orchard is available to all members of the local community. 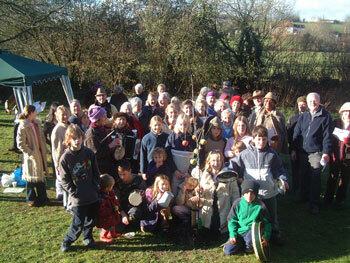 Occasional events such as wassailing and apple pressing have been held in the orchard.